Mike Montana, a suspect in the shooting of CBS News 8 sports director Kyle Kraska, surrendered to police in El Cajon a little before 10 p.m. Tuesday, news media reported. Kraska underwent surgery Tuesday night after being wounded in what appeared to be an ambush shooting outside his Miramar Ranch North home, according to police and his employer. Ron Maikovich, a next-door neighbor of Kraska, told Times of San Diego that he heard “loud banging” about 3 p.m. — five to seven sounds — and thought that Kraska was driving nails into a fence. “I never thought it can be anything other than that,” he said in a phone interview. However, Maikovich said his wife immediately suggested it sounded like gunshots. No shouting or other noise was heard before the sounds, Maikovich said. The exterior of Kraska’s house was painted about two to three months ago, Maikovich said, noting that he had seen a “Superior Painting” van like the one being sought — and apparently found in El Cajon. Kraska had lived in that neighborhood about 10 years, he said. 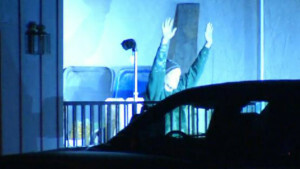 Later, NBC San Diego reported that El Cajon and San Diego police surrounded an El Cajon home where a white van with “Superior Painting” on it was parked in the driveway. The scene was near Chase Avenue Elementary School. The gunfire in the 12000 block of Avonette Court in Scripps Ranch was reported shortly after 3 p.m., said SDPD public-affairs Officer Matt Tortorella. 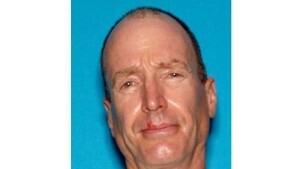 Being sought was a 54-year-old Montana, said San Diego police Lt. Scott Wahl. Police had no comment on a motive, but a corporations website said Montana is a former president of Superior Painting Corp. and the managing member of Superior Tool & Supply. In its 5 p.m. newscast, where Kraska’s was the first story, CBS8 reported a white minivan with “Superior Painting” on the side was being sought, as well as a newer-model black Acura, which fled the scene. Another neighbor told San Diego police that someone shot the rear window out of Kraska’s silver Mercedes-Benz, firing as many as 10 shots, then fled in an older-model white minivan. Medics took Kraska, 48, to Scripps Memorial Hospital La Jolla. Aerial view of Kyle Kraska car posted on CBS8.com. CBS8.com posted a series of photos of the damaged car and the neighborhood. CBS8 reporters first aired news of the shooting during a 4:18 p.m. commercial break of the “Judge Judy” show, and said details would be given in their 5 p.m. newscast. “[Montana] left threatening voice mails on my son’s cell phone. Not direct threats, but talking about his guns and how good a marksman he is, so, insinuated threats. It got to the point where the girls in the office didn’t want to come to work. They were scared of him,” the man said. A Times of San Diego review of court records found five civil cases involving Montana, with the latest in August 2014 when his landlord sued him for $5,100 for rent due on his Santee office. According to his online profile, Kraska has worked in San Diego’s CBS affiliate since 1999 and has won Associated Press awards, a California Golden Mike Award, New York State Broadcasters Awards and an Emmy. Kyle’s career started his senior year at Syracuse University when he landed the weekend Sports Anchor job at WWNY-TV in Watertown, New York. From there he jumped to WWSB-TV in Sarasota, Florida, KVIA-TV in El Paso, Texas, WRGB-TV in Albany, New York and WFTS-TV in Tampa, Florida. Then Hollywood came calling and Kyle accepted a position as evening News Anchor for KCBS-TV in Los Angeles. That was followed by a stint hosting “Hard Copy,” a top-rated nationally syndicated news magazine show. 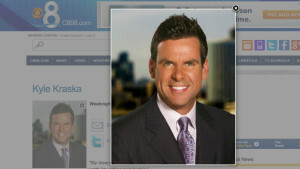 In 1999, Kyle joined KFMB, greeting San Diego news viewers every weekday, as CBS News 8’s morning and noon co-anchor. A native of Boston, he enjoys surfing, snowboarding, wakeboarding and playing basketball, his profile said. — Chris Stone and City News Service contributed to this report.